Although grand in presence, the Wellington cast stone fireplace surround is an affordable luxury item designed to complement your decorations without taking away from your room. Its subtle curves and thoughtful decorative accents make it as inviting as your room is elegant. 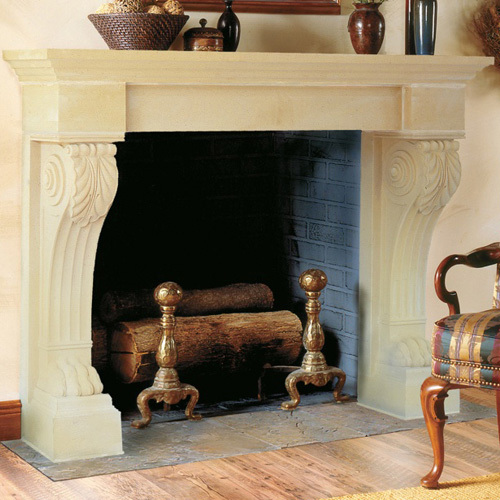 Simplify the design by removing the lion’s paw column, or enhance its charm by adding a custom crafted overmantel. 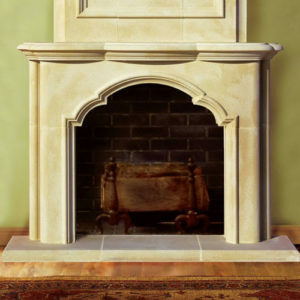 We are often able to alter our mantels, so long as they retain the integrity of their original design. Though all our quality mantels require no finish, it can be antiqued, faux finished or distressed to give it the patina of age.